Feeling Anxious about a Background Check? It’s the perfect job at the perfect company. You polished up your resume, the interview went great, and it looks like the job is yours…pending a background check. 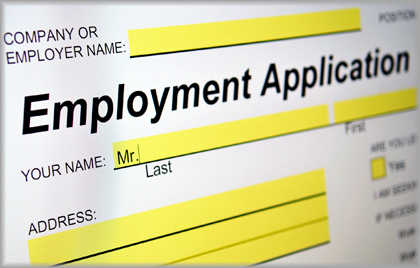 Those words can cause a certain level of anxiety for an eager applicant. What are they looking for? What will people say about me? How long will this take? Fortunately, there are ways that you as an applicant can help get you into that dream job faster. 1. Exact Information is Important. You may be tempted to take a “rough guess” when listing previous employment experience. However, providing accurate dates of hire, specific responsibilities, and the correct name and phone number for pertinent references improves the ability of a background screener to quickly and accurately obtain information. This information helps to provide a hiring manager distinct insight into your abilities and strengths. The more a hiring manager knows, the more comfortable they will feel moving forward with the process. 2. Review your Application for typos. Mis-typing your exact legal name, date of birth, or length of time at a former workplace could negatively affect the results of a screening report. If any of this information is incorrect the entire background check process may have to be redone, which may delay your ability to start working. As a courtesy, let your contacts know that they may be receiving a phone call in the next few days. This will help them prepare what they want to say. When references are aware that their name has been given, they are much more likely to answer or return phone calls to a background screener, thus improving the turnaround time on your background check. The information they give can help a hiring manager understand how your previous work responsibilities will be an asset to the position you are applying for. 4. Return your Background Screener’s Phone Calls Promptly. There are instances when a background screener may need information only you can provide in order to complete your background check. It is tremendously helpful if you return phone calls in a timely manner. We understand that time is important to everyone involved in the hiring process. All parties involved want to work as quickly and diligently as possible, but verifying some credentials can inevitably take longer than we would like. Whether it is a criminal record search that requires certain protocol, a reference that does not return phone calls, or school that is on break, delays can happen. Rest assured, Justifacts will be working to get accurate information to your hiring manager as quickly as possible.